They got me thinking. Let’s just say Apple is working on AR glasses for a launch in Fall 2020. It’s the Dumb Glasses market, stupid! Any facial augmented reality solution is going to fail if they aren’t fashionable and are user hostile to spectacles, contacts, and sunglasses. Apple has more than likely come to the same conclusion after seeing the Google Glass debacle. A high level of fashion has to be baked into the product. To maximize their market opportunity, Apple must be working on vision correction as a core feature. The market looks enormous. An estimate from Grand View Research says the worldwide eyewear market was $102.66B USD in 2015. If Apple is going to sell a lot of Glass (or whatever they’re called), they need to replace dumb spectacles. Is Apple going to make lenses custom lenses for this product? I don’t think so. What I’d be betting on is that Apple will ship a product that has dynamically configured vision correction. This doesn’t mean optometrists go out of business, but instead of walking out of the office waiting for new glasses, they just send your new prescription to Apple Glass (and you get a copy in the Health app on iOS) and boom, you see at 20/20 or better again. Apple could also take a huge chunk out of Luxottica. This Snopes article has the best breakdown on truth and rumor about their market share I can find. If you wear contacts, no problem, Apple Glass just turns off all corrections. Wait, you also switch between indoor spectacles and sunglasses? No problem, Apple Glass darken like transitions (or better?). That’s right, Apple Glass would also darken like transitions (but better?). 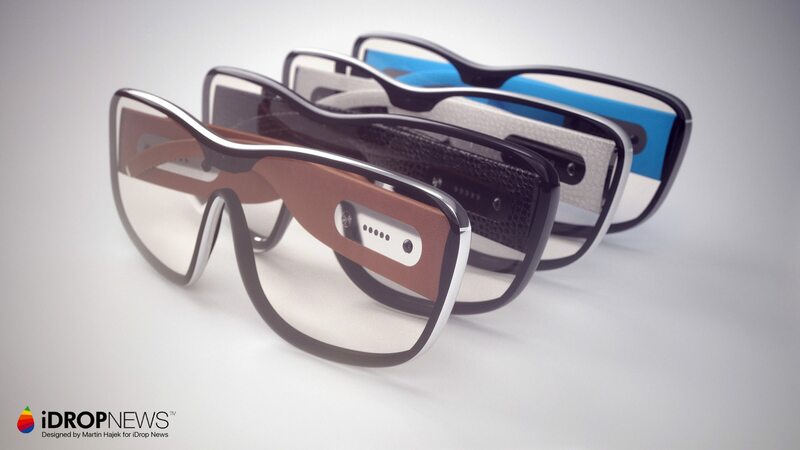 Apple Glass would also be compatible with contact wearers by turning off vision correction. Need bifocals? No problem, Apple Glass can handle it. Tim: Today were announcing three products. Tim: Are you getting it yet? This isn’t three products, it’s one. This would be the culmination of Tim Cook’s Apple. He’d be 60 years old, just shipped Apple’s most revolutionary product since the iPhone, and with plenty of time to pursue any other projects he wished. Does Apple Glass cannibalize any other Apple products? Apple Watch shrinks a bit as some users that want Glass decide they don’t need Watch too. But if Apple Watch enhances the AR experience through arm motion tracking, Apple Glass could be purely additive. Apple Glass complements iPhone for the foreseeable future due to processing power/battery life issues. I didn’t realize when I opened Seeking Alpha this morning it was about Apple’s AR opportunity.